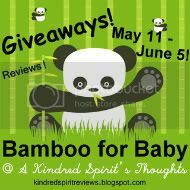 Go here for the current Groovy Green Giveaways! 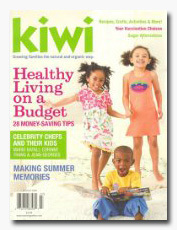 This is what Milk & Honey Mommy has for you: enter to win a one year subscription (6 – six issues) to Kiwi Magazine. If you just can’t wait to see who wins, then you can subscribe to Kiwi Magazine now and if you win, then gift your winning subscription to a family member or a friend. There will be two winners! TODAY IS THE LAST DAY! Register to Win! I love to win! I mean who doesn’t? If they tell you they don’t, then they’re really just trying win another prize: The One Who Doesn’t Really Care, When They Really Do prize. I especially like to win eco-friendly prizes because my lifestyle leans more towards that way. I also have a particular liking for handmade items because they are made with special care. Don’t get me wrong, I have nothing against mass production since Target is one of my favortite places to hang out, but will take a one of a kind made item anyday. Every Sunday, I share a list of Groovy Green Giveaways being offered in the Blogosphere. Most of these are contests in which I entered and thought some of you would like to know are out there too. If you have a green, natural, or handmade giveaway on your blog/site and would like to share it here, then E-mail me at milkandhoneymommy(at)gmail(dot)com by the Friday before each Sunday posting. I would love to list it and would probably be overjoyed to win it too (ahh, that’s a hint!)! I wish I had some green giveaways to list but if I do, I’ll remember this! Sundays, right? I do a linky every Saturday. Mine’s still on the front page from yesterday so feel free to link up! There’s quite a few on there and the more the merrier!